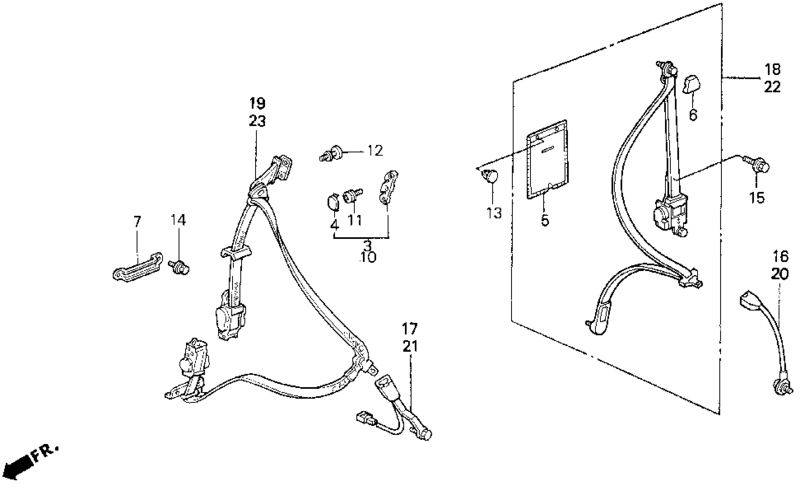 Buying a genuine Honda OUTER SET, R. FR. SEAT BELT *B44L* (NIPPON SEIKO)(PALMY BLUE), which you can also find by searching for the part number #04814-SH2-A01ZA, is the best way to ensure a perfect fit in your next repair. OUTER SET, R. FR. SEAT BELT *B44L* (NIPPON SEIKO)(PALMY BLUE) is item #018 in the diagram. Not the part you were looking for? Bernardi is proud to offer variety of CRX '88-91 parts for your INTERIOR / BUMPER, whatever you need to keep your Honda in tip-top shape.